Eco Comics has today announced the launch of a new character drawn by the late, legendary artist Herb Trimpe. Artwork by Trimpe has also been unveiled. It will see Trimpe – renowned for his art on Hulk and Wolverine – help bring to the world a second, huge green behemoth, this time in the form of Eco Warrior. “We needed a big strong hero to represent Eco Comics, and of course, like our approach, he had to be green. We considered several superstar artists of the comic industry before it dawned on us the perfect and obvious choice had to be Herb Trimpe,” said the publisher. But any similarities that may exist with that ‘other’ green monster associated with Trimpe are only skin deep says the award-winning publisher. Bunting and Trimpe worked closely over a long period to create a classic-style comic book hero facing 21st Century climate change. Eco Warrior was perhaps the final character created by the artist who died on 13th April 2015. 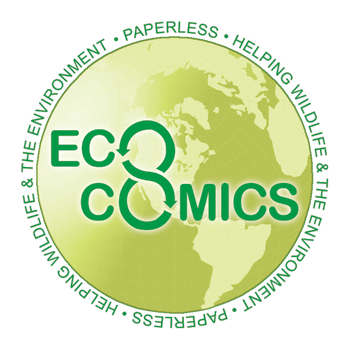 Eco Warrior is set to play a pivotal role in many other titles by Eco Comics before featuring in his own, a tribute entitled Herb Trimpe’s Eco Warrior, including art by Trimpe himself. More Trimpe art will be unveiled by the publisher soon.